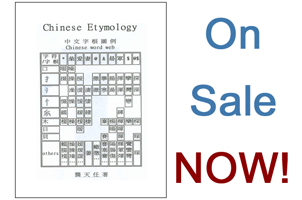 I began my studies on March 17, 2008 learning the Chinese written language. On June 14, 2008, I passed my proficiency test to successfully set the world record on being the fastest person to ever learn the Chinese written language from the initial condition of not knowing a single Chinese word to the proficiency of being able to read a current Chinese newspaper. I set this record in only 89 days! Within that time, I learned approximately 2,625 stand-alone Chinese words with an average of 30 words per day. Also, I learned 800 two-word phrases, 480 Chinese Idioms (four-word phrases) and 300 commonly used (two or three-word) phrases. It requires additional time to study the verbal portion and my challenge for the world record does not include the verbal portion in my initial proposal. This challenge is designed to proof a very important concept, that the Chinese written language can be learned without the support of a language environment.